Dutch Baroque style secreter from the first half of the 19th Century. 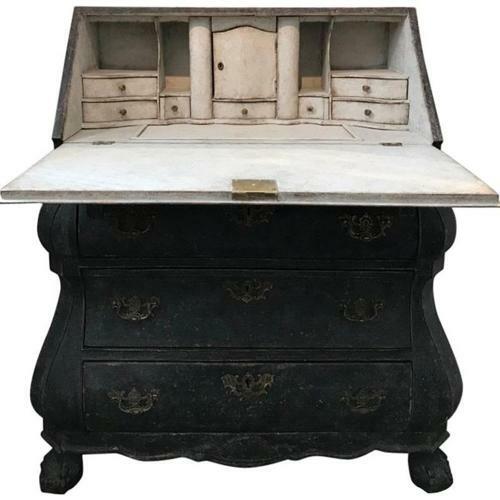 It has a bombé three-drawers and two lion paw feet in the front. The interior is charming, with several small drawers and compartments. The secreter keeps the original bronze hardware. Later paint.